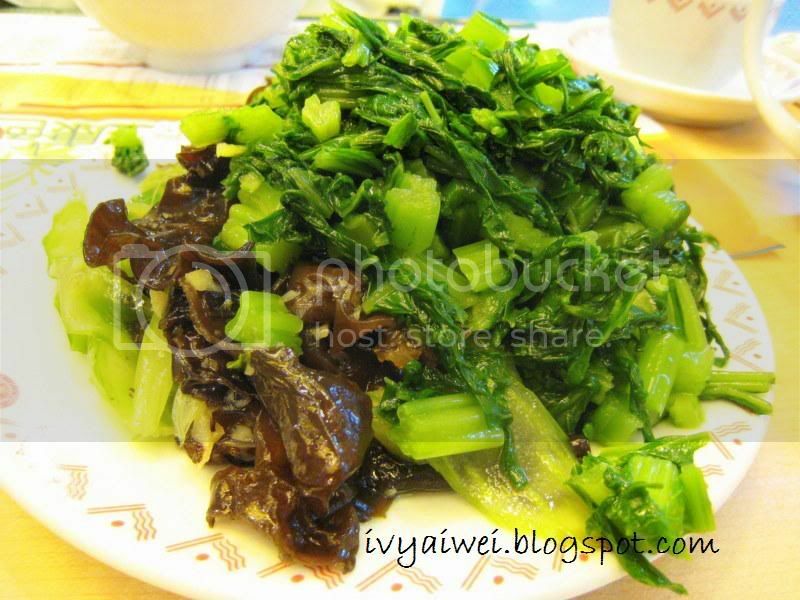 面点王 Mian-Dian-Wang is well-known as Chinese fast food chain in Shen Zhen. 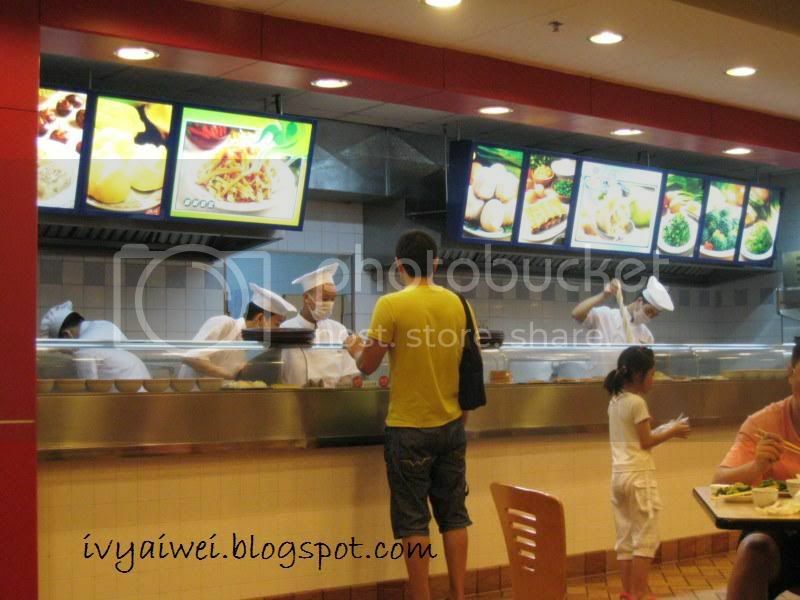 It is almost similar to those McD, KFC that appear everywhere; the only difference, 面点王 Mian-Dian-Wang serves Chinese Food rather than those fried and high calories pre-prepared food. 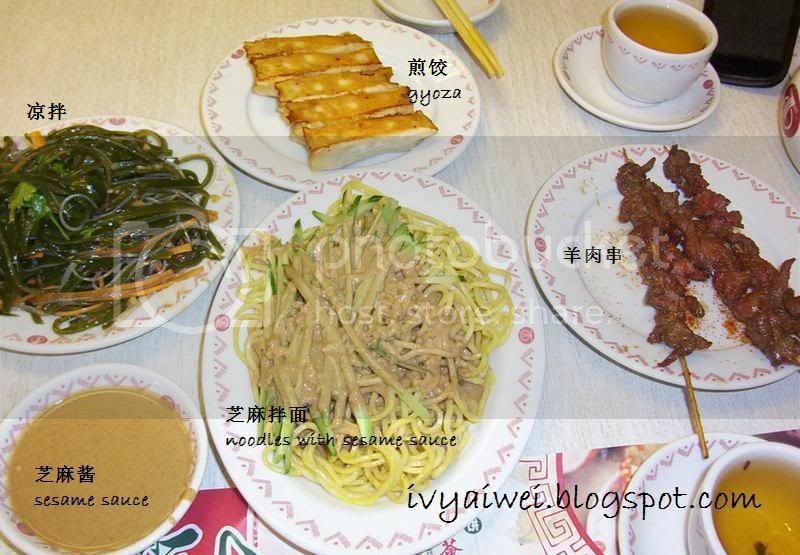 芝麻拌面 Zhi-Ma-Ban-Mian, Noodles with Sesame Sauce is always my all time favourite. The plentiful of sesame sauce on the noodles. There are 2 types of noodles to choose from — normal or the wheat type. 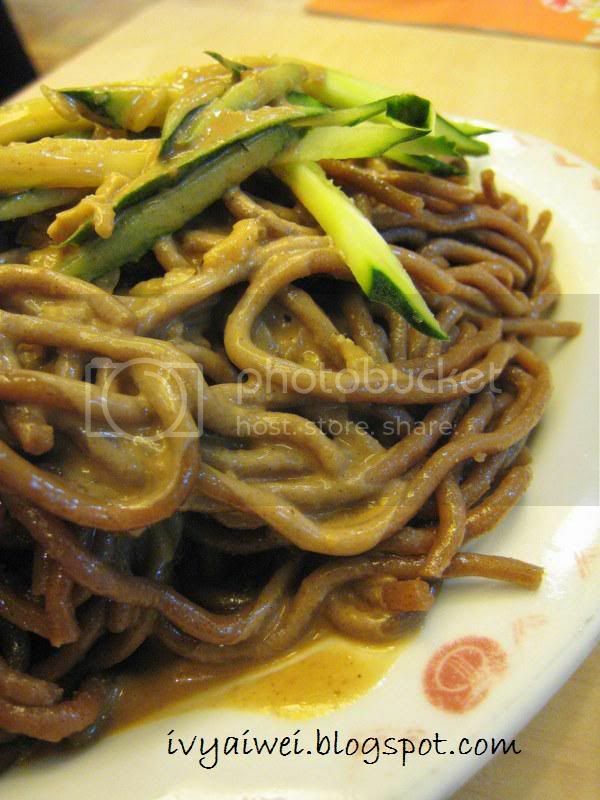 This time, I chose the wheat noodles that appear in brown. 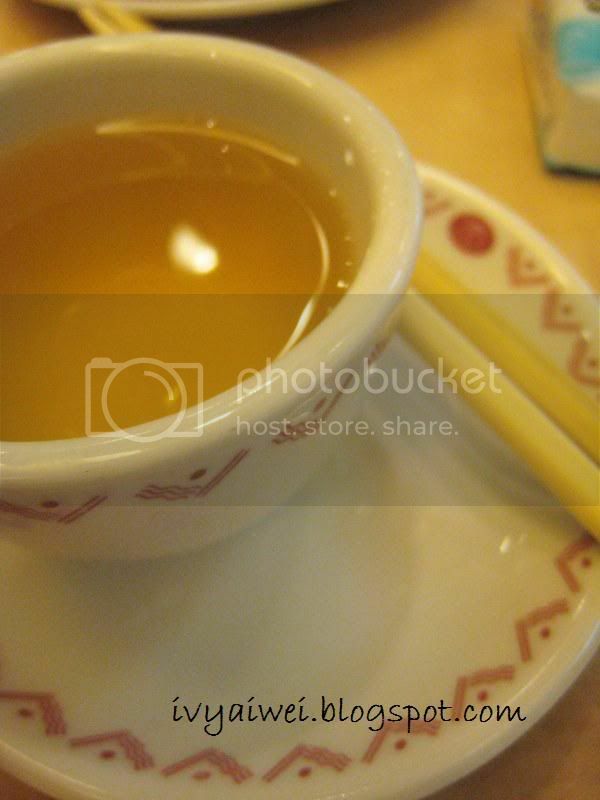 Ahhh, it was very jelly-liked and I took some times to chew the mouthful of noodles. I prefer the normal type noodles as it brought out the strong aroma of sesame sauce. 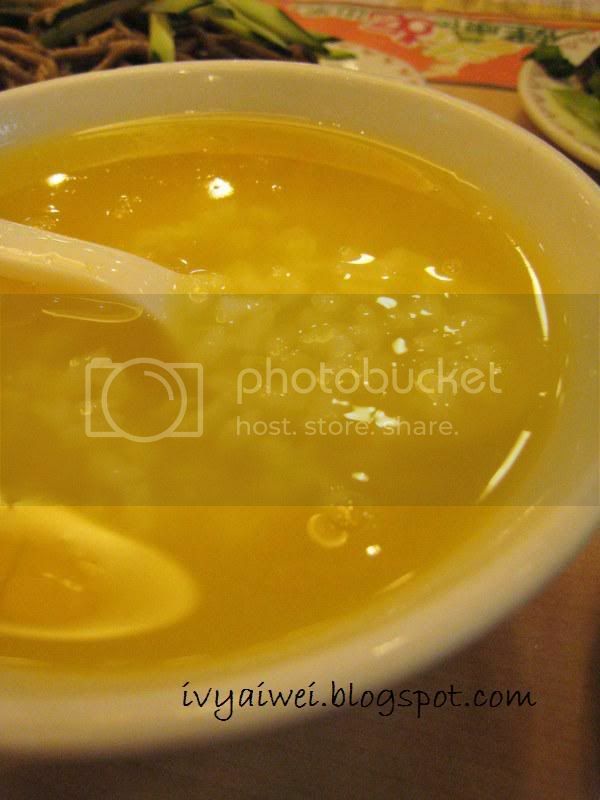 金瓜粥 Pumpkin porridge — the soothing one. 酱骨架 Jiang-Gu-Jia. 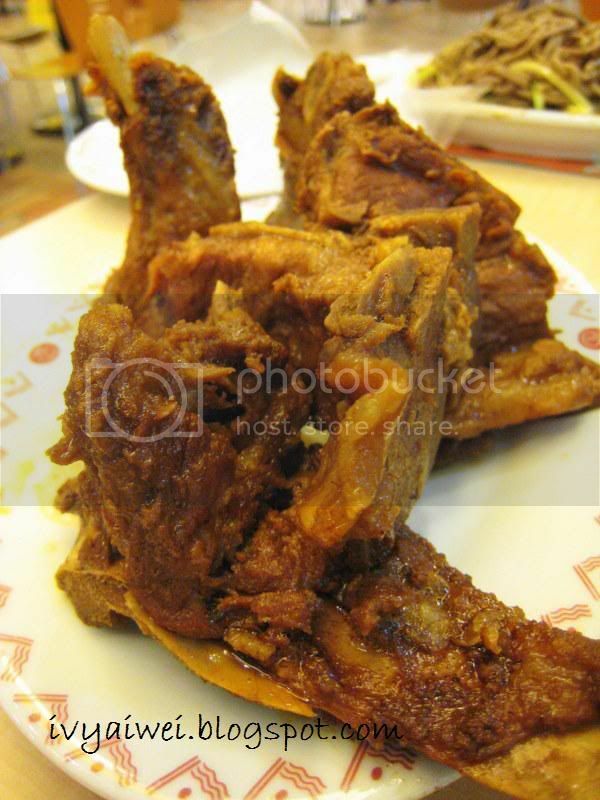 It is actually the stewed pork ribs which have been stewed up to hours. The meat part is juicy, tender and flavourful. You will never want to stop from having them. Well, it will be a little messy while you are having this. 面点王 is kind enough to provide the gloves. My previous visit at面点王 years ago. ya, and it's much healtier too with wide varitey of chinese food. really??! din know u took photos for them. the photos are great! 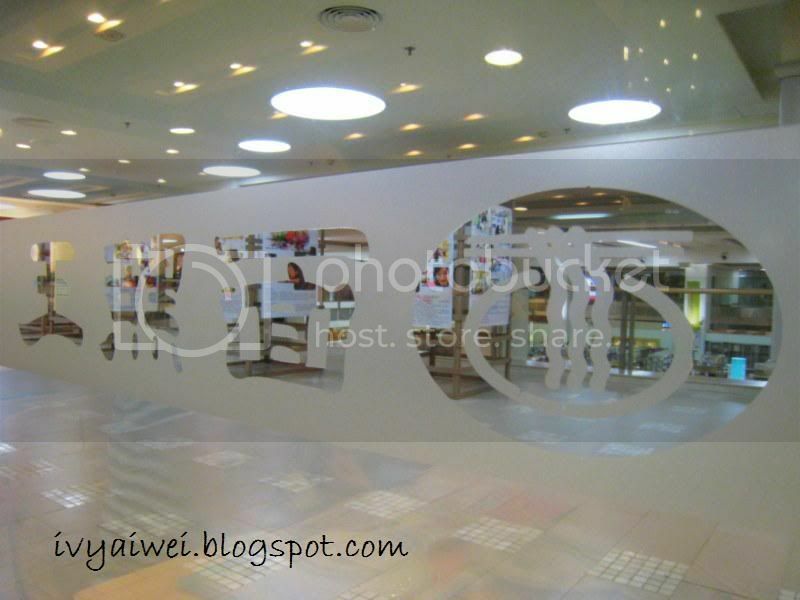 as for environment, guess it is much better to dine indoor than the outdoor. outdoor is way too noisy. and they are extremely YUMMY! itis so fingers licking good! 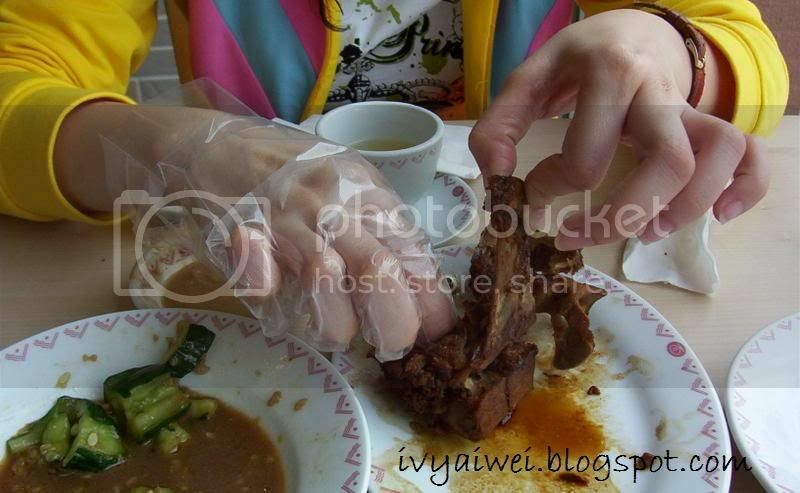 Wahh…ribs looks good leh..and i saw that KFC in HK also provide plastic gloves! Why can't we have it here too hor? I didn't see this in GZ but that Kungfu chain store with Bruce Lee sketches were all over GZ! the gloves reminded me of a scene from michael hui's Chicken and Duck Talk, whereby the fast food restaurant also offered gloves for their fried chicken. Haha, Ai Wei, where's your face? Showing your hands again ar? Wahahaha! And pumpkin porridge, sounds healthy and good! 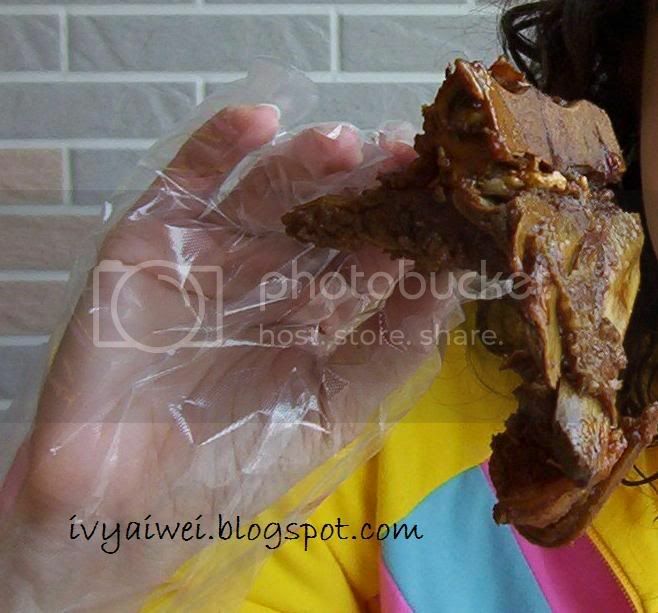 I want the pork ribs, got da bao for me? Kekeke! aiks… ours here… lousy. haha. is it? this is not in guangzhou. i saw the Kungfu too. but din get to try. sis never brought me in. maybe not good?! do you try it out? yeah, i love their service too! somehow the waitress is a little rude. 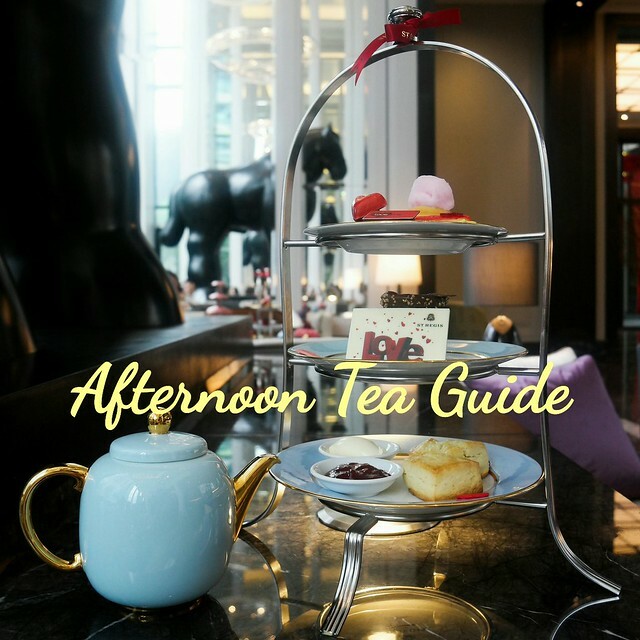 oO… where is the michael hui's Chicken and Duck Talk? I wish I was there with you.